Hi everyone! Today we wanted to share with you a great new website we have found, UncommonGoods offers gifts, homeware and so much more. Founded in Brooklyn, UncommonGoods specialises in quirky and unusual products and you'll feel great about shopping there as a third of their products incorporate recycled materials and they contribute to many deserving charities. We're both bookworms and so are always looking for cute ways to display our books. 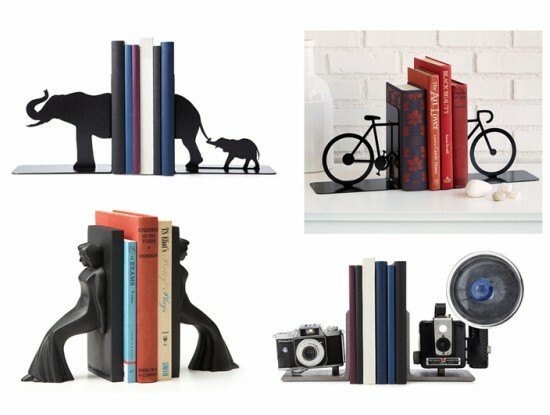 These bookends are a great way to update a shelving area and keep your books tidy. It's so difficult to find quirky and individual bookends but UncommonGoods has a great selection. We particularly love the vintage cameras, great for all ages! 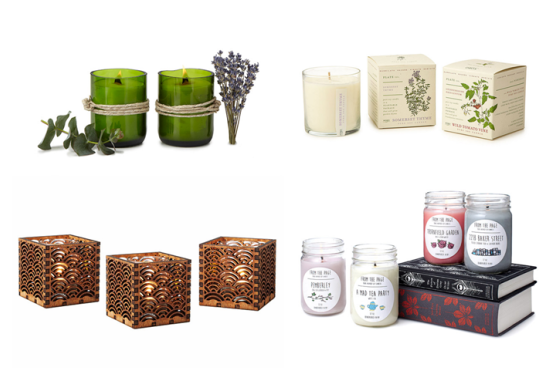 Candles are a great gift to give and receive - who doesn't love a nice candle? We love these literary candles, hand-poured in New York and based on Pride & Prejudice, Alice In Wonderland, Sherlock Holmes and Jane Eyre! All the UncommonGoods candles come in a great range of price points and, like the rest of the website, are available for international shipping. 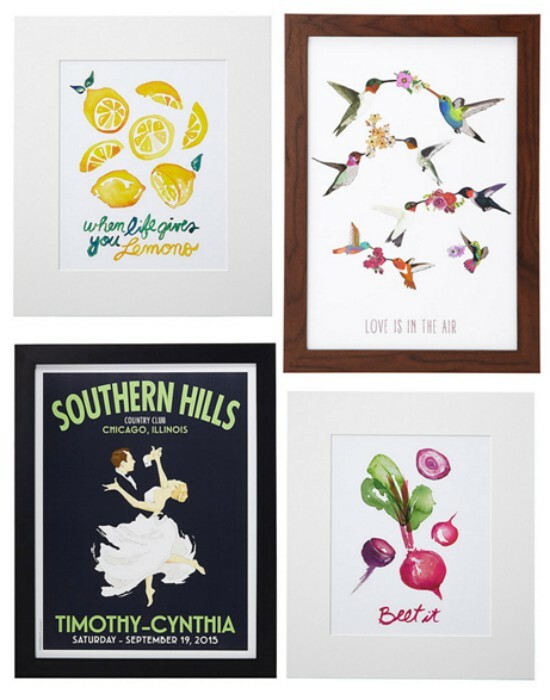 Prints can instantaneously and affordably brighten up a room and UncommonGoods has a huge selection to choose from with options for the whole house. Pop these gorgeous lemon and beetroot prints up in your kitchen or personalise this dancing print for a special wedding gift. Apart from offering great gifts, jewellery and ornaments, UncommonGoods also stock a great range of unique, recycled and reclaimed furniture. Any of these would create a conversation and make a nice change from standard, big chain furniture items. The Do Good Hanging Chair would be perfect for relaxing in the garden during the summer months. 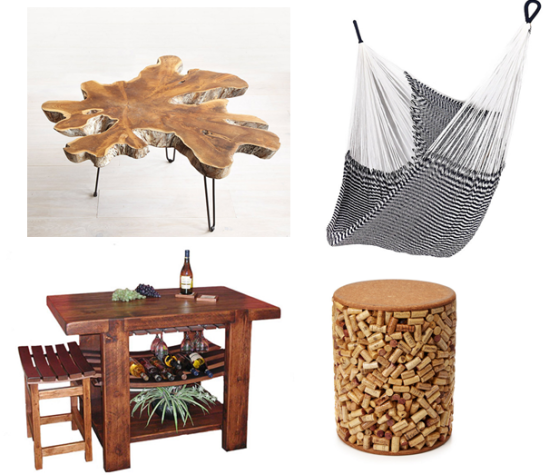 The Wine Cork Stool would make a great end table or useful for extra seating for unexpected guests! loving those bookends! I definitely plan to have a pretty bookshelf in my house one day and these are perfect! Bem legal essa seleção de itens. Não sei nem dizer do que gostei mais! i love this ideas!! wonderful!!! Great selection and gift inso! Thanks for sharing Rosanna! Awesome selection! The elephant bookend is my favourite! I really like that cork table! Have an amazing weekend! These bookends are simply adorable!!! Que lindas decorações amei, bom final de semana. Such unique finds! I love candles, and the decorative ones are so cute! I'm loving all the pieces you've rounded up here, especially those gold candle holders! Thanks so much for sharing, beauty, and I hope you have a wonderful weekend ahead! I love those art prints!!! They have some pretty things listed. I love the bookends. Kisses! i know this website and I think it'a a very cute and creative one. Yes, yes and yes again to decorative candles! I already have way, way too many but I just can't resist their gorgeous packaging and even better scents haha! Many thanks! This website was also new for me :) Wow, they have really amazing and unique things - now I know where to shop when I want to give an unique piece. amazing! have a great day! Hello, again! As you probably know, I was away for some weeks, now back! (I don't like to use internet when travelling!) So nice to read your post again! I loved book ends and I am also a bookworm! So if I just had known this shop before... I would have bought the elephants as a present... wow, never too late, soooo many thanks for the recommendation! This site sounds really cool! I love those book holders, very unique! Never heard about this but seems interesting. The book ends are GORGEOUS !!! These are some lovely goods! Those bookends are way too cute! I want one! Those bookends are so fun, they'd makea great gift! This website looks great and great cause! wow, amazing things!!! this art is so beautiful. These bookends are so cute!